I would love to win a copy of this book. 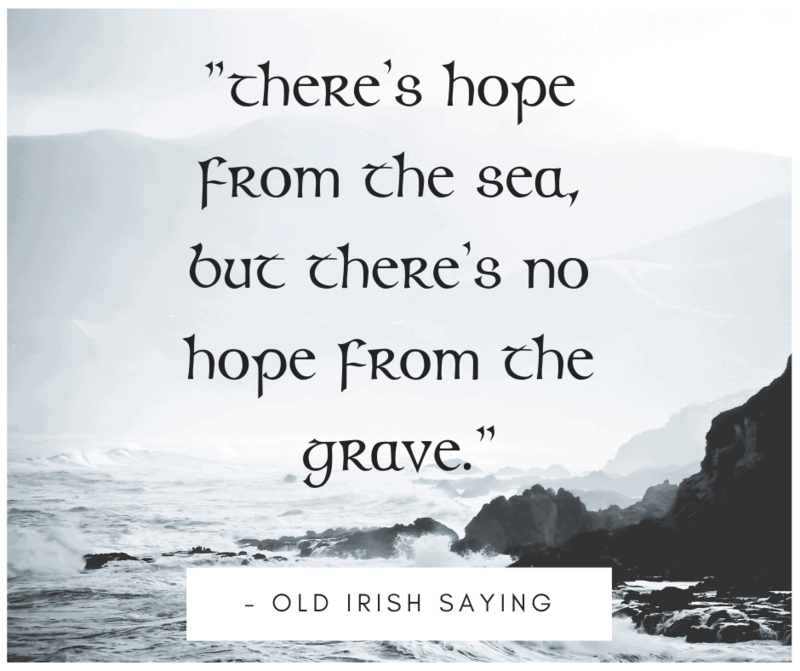 I am currently working on my family history and am especially fascinated with my own Irish ancestors. Hi Angi – Wishing you every success as you delve into your family history. It is wonderful to record your family’s story for future generations. I will be reading this book, regardless of wheteher I win it or not………… but it would be lovely to win it ! i HATE when I make an “un-correctable” typo………………ugh……………. Hi Mary – I’m afraid I couldn’t spot your typo in your previous comment, to correct it for you. I understand your frustration when a comment vanishes into cyberspace and there’s no going back to make corrections. That’s happened to me many times in the past. 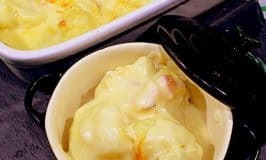 Thanks for following my recipes and ramblings. Hi Mary – Thanks for supporting this giveaway and for checking out this wonderful book. My husband and I both know so little about our Irish heritage, but this story sounds very similar to the little we do know. His family settled in the SF Bay area also. Mine in CA too, LA area. I’m intrigued to read Brave Hearts as I’m sure our ancestors lived through much the same experiences as immigrants at the same time. Hi Sinita – I think many people in our Irish American Mom Community voice similar frustrations about their lack of knowledge of their Irish heritage. Many lament not asking more questions while their aging relatives were still able to share stories. And to compound the problem, many Irish in America did not like to speak of the hardships they endured in their homeland. They became the ‘silent people,’ but that’s a blog post for another day. 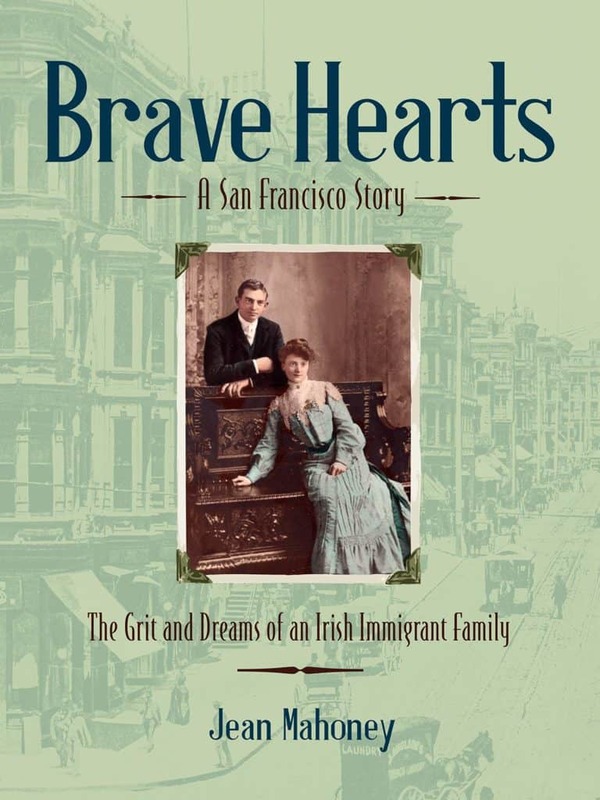 🙂 I hope this novel about Irish immigrants in California will reveal insights into your family’s past. I love that I am Irish and that our family has always celebrated our heritage! Hi Shannon – How wonderful to learn that your family has passed on a deep pride in your Irish heritage. It is a wonderful gift to pass down through the generations. Many thanks for checking out this new book here on my blog. This book sounds amazing! I’d love to read it. Hi Jessica – Thanks for letting us know that this type of book would be your cup of tea. Mine also. I love historical fiction and biographies, and when they have an Irish or Irish American theme, I enjoy them all the more. I’m excited about this book. Many of us have Irish ancestors here and weren’t able to get the stories from our families. This book will be a welcome addition to anyone interested intheir Irish-American roots. Hi Kimberley – Exploring and celebrating our Irish heritage together are key elements of this blog, so this book is definitely a good fit for this little corner of the word wide web. Many thanks for supporting this giveaway. I would love this book. I am very interested in Irish history and am currently researching my own ancestry. Hi Peggy – Lovely to hear you are researching your ancestry and that you too share a keen interest in all things Irish, especially Irish history. Best of luck with your family research. Hi Susan – Many Irish settled in San Francisco and California. I can only imagine what the fledgling city must have been like in the days of the Gold Rush, filled with Irish immigrants who had just left their homeland to flee the direst of situations. My ancestors came in 1848 as newlyweds. They married in Dublin and that is my brick wall I can’t get past. They moved back and forth across the Canada-U.S. border. The family grew, the business grew, the business burned down, the family moved, the business was re-established, wife died, husband drank too much and ended up a vagrant dying in the local jail. As you say, heartache and sorrow, times to rejoice and survival through grit and determination. I hope to someday unlock where they came from and find out their history as I am told his middle name “Homan” is from aristocracy. Hi Cathy – Thank you for sharing your family story of trials, tribulations and determination. Life was full of hardships in the mid-19th century and our ancestors had to be tough to survive. Life took its toll on many and I’m sorry to hear your ancestor died alone in the local jail. I hope that you will someday make progress on your search for your Irish roots and places of origin. “Homan” is a very unusual name, but that rarity could ultimately help you on your quest. Best of luck with your genealogical journey. I love reading this type of book & I would share it with my Daughter-in-law who is part Irish & is working on her Ancestry right now! I have learned more about historic events & times reading these types of books than I ever did in HIstory class in school! 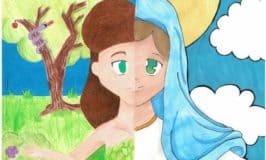 Hi Candee – I agree that books like this bring history to life and help us delve into the past to further our understanding of how we evolved as people and as nations. I love historical sagas that inspire me to learn more, and to go way beyond the limited history I learned as a schoolgirl. Many thanks for adding to our conversation about family roots and history. I would love to read this book! I have done quite a bit of research in Irish American history, and it’s always thrilling to hear of the publication of new stories about the Irish. Their fortitude is simply amazing! Thanks for reviewing this book, and for offering the giveaway! 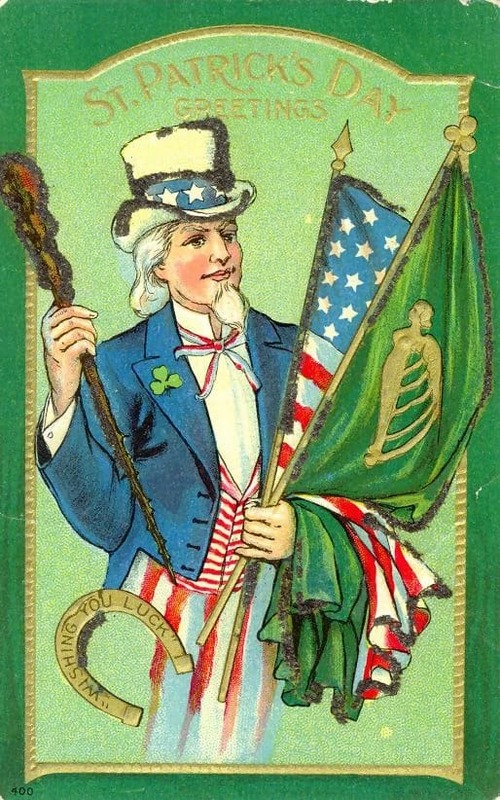 Hi Anna – I too get excited by stories of Irish and Irish American history. In years gone by we only ever seemed to be background characters in other people’s stories in books and movies. Very few novels told about our struggles and achievements over the years. We were often only represented as troubled characters with drinking problems. I hope that more and more stories about how the Irish contributed to American society and helped build the infrastructure of this country will be told as time goes by. We may not have been rich industrialists but that does not mean our stories are not worth telling, because as you say, Irish fortitude is simply amazing. 2 branches of my family came to America from Ireland -1 in the 1847 and the other in 1859. I would love to read this story especially of the crossing-how brave these people were to leave home and family and begin a new life far away. Hi Gary – Your ancestors truly were courageous people. I cannot imagine the enormity of their journey and the knowledge, when leaving their homeland, that they would probably never see it nor their loved ones again. The will to survive is very strong and this determination to succeed is what immigrants brought, and still bring to America, to help build this nation. I can’t wait to read this book. My mother’s immigrant grandmother was still alive when she was born. I wish I had more actual family stories. We have only a few. Hi Mary – Please, please, please, be sure to write down those few family stories you do have, and treasure them. Younger generations of your family may not be interested now, but in years to come they will be ever so thankful if they discover a written connection with your family’s past. I always regret that I did not write down my grandmother’s stories when I was young. I only realized what a treasure trove of folklore and family history she was, when it was too late. Many blessings to you too, Mary. It’s lovely to learn family history books are exactly what readers of my blog find fascinating. I will read this book whether I win or purchase it. Recent scandalous treatment of immigrants and their treatment at our borders has left me angered and frustrated. I never thought I would live to see the likes of this kind of treatment in a country I hold so dear! My ancestors came here fleeing famine, war, and political unrest with the dream of a better life. The Irish weren’t welcomed with open arms but at least they were allowed into this country. They took that small glimmer of hope and worked to become a great part of Americas’ history. We should ALL count our blessings and speak out against the anti-immigrant mindset. “Give me your tired, your poor. Your huddled masses yearning to be free, The wretched refuse of your teeming shore.” God bless us all! Hi Barbara – Your words are so true. The Irish were vilified when they first came to America, but they banded together to become a powerful group, determined to succeed in the cities and states where they settled. There are many lessons to be learned from the past and from our immigrant tales. 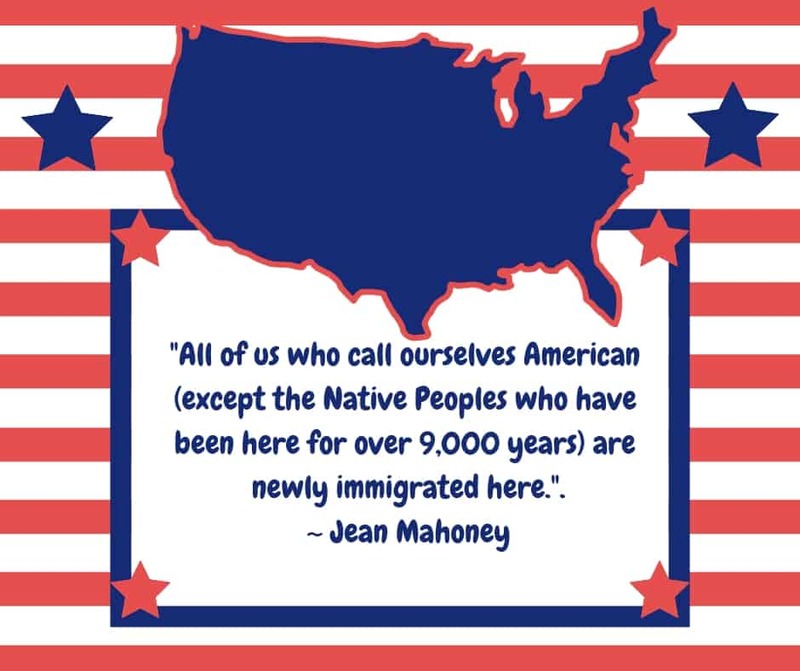 Only the Native American peoples originally belonged here, and everyone else is only recently descended from an immigrant or is an immigrant, like me. I am astounded by the attitudes of today, and my greatest wish for this country is, that once again we can celebrate our immigrant tales and acknowledge all that has been accomplished by those who bravely sought out, and continue to seek, new lives in America. I would so like to win this book of Brave Hearts. My parents came here in 1920 with her Mother,sister and brother. they were 22 and 23. what courage that took. They struggled but had a family and a good life. the courage it took not many would have it. I am so proud of my heritage. I have had the blessing of being able to go to Ireland to see the area they were born in,the area her parent’s came from. It has so enriched my life. 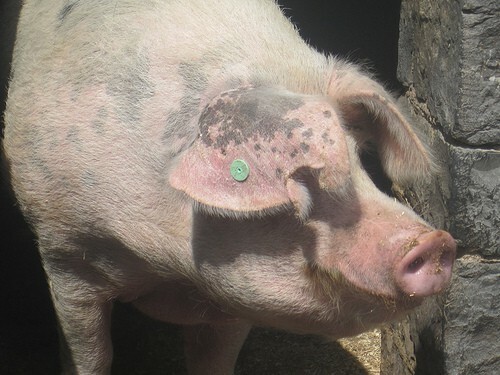 Hi Elizabeth – It’s lovely to hear your visit to Ireland, the land of your ancestors, enriched your life. That is truly wonderful and heart warming. 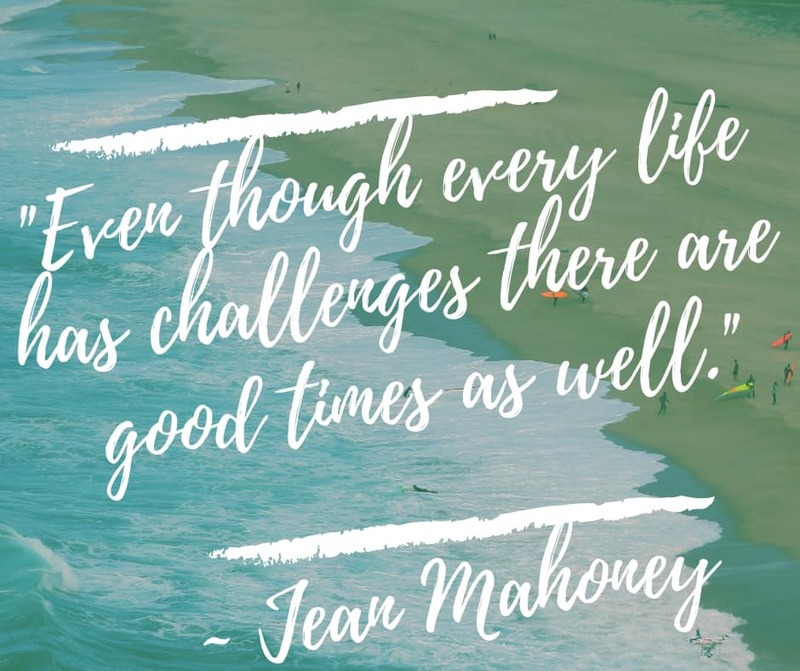 Thank you for sharing your Irish connections with us and for celebrating your heritage with our Irish American Mom Community. I would truly love to win a copy of this book. Even if I don’t, I am happy to learn that it exists and will search for it in my library. My ancestors on both sides came from Ireland. Some decided to go back there to live after only few years in America. Thank you for your newsletter. I always look forward to reading it. Hi Maureen – It’s interesting that you mention how some of your ancestors returned to Ireland after spending only a few years in America. My great grandfather also returned to Skibbereen, County Cork from Salem, Massachussetts back in the 1890’s. I once wrote a blog post about it and posed the question – did many Irish immigrants return to their homeland? I think it happened more frequently than we think. What a great book! I’m so excited to read it. I love everything about Irish immigration. I just recently found out my great grandparents came to Montana from Ireland in the late 1800s. I would love to win this book. Thank you! Hi Laura – I have read that Butte, Montana was home to many Irish immigrants back in the late 19th century. Many miners from the West Cork town of Allihies, where there were copper mines, went there to work in the silver mines. An Irish man, Marcus Daly, recruited many of the Irish to move to Butte. There are many immigrant tales to be told and I love hearing from readers about where there families came from in Ireland and where they settled in America. My great grandfather George Convy came from Tullamore – he brought a piece of Irish sod when he sailed to America. Now and then he would pour himself some Irish whiskey and have a good cry over the land he would never see again. I love that story – I wrote a song about it. And I’m loving learning all about Irish history and culture and my own family’s journey. Hi Erin – The area around Tullamore, County Offally is primarily made up of peat bogs, so it is no wonder that your great grandfather brought a piece of Irish sod with him. I can just picture him with his whiskey in hand, thinking about his homeland. If you would ever like to share your family story and your song with readers here on my blog, just let me know ( email [email protected] ). Thank you so much for sharing your family story. Thanks – I will email you! Thanks Erin – your song is wonderful. My family emigrated in the 1960’s but we have kept in contact with all our Irish relatives. Even our children are keeping in contact Much easier in these days. Sounds like a wonderful book. Hi Deirdre – Communication and travel have made staying in touch across the ocean so much easier today than it was when your family first went over in the 1960’s. I remember when I first went to the United States in 1988 my phone bills were astronomical. I easily spent $200 per month calling home, which was a small fortune out of my wages back then. Now the internet makes international calling so easy. What a blessing it is! This is a story that needed to be told. The hardships for our ancestors and their subsequent endurance inform our resilience today. One look at the old family pictures, though few and far between, makes us grateful for documentation in the written form. Hi Kristina – Beautifully said. Recording our immigrant stories is an important way for us to strengthen our family resilience. It can help future generations, whose lives are so much easier because of their ancestors sacrifices, to fully understand the journeys that made our current lives a reality. I just returned from Ireland last month and I felt so ignorant as to my family’s story of how they came to America and when. I am trying to learn all I can now about our lives in the homeland. I am a Crowley. Hi Laura – I’m delighted to hear your trip to Ireland has given you inspiration to investigate your family heritage. The name Crowley is very common in County Cork. I wonder if that is from where your family hails. Wishing you every success on your search for your genealogical answers and your quest to record your family history. My Father came from Ireland after serving in the Royal Air Force in WWII. Landed in New York and started as paper boy then working his way across America. He wound up in Southern Calif and got a job later with an aviation parts mfg and rose to position of Vice President in the aviation hey day here. Along the way he married a Scottish American woman who worked at the same company and started a family. I worked at that company also. It was a good lesson because Dad & his comrades gave me no quarter for being related. Since, my younger brother has spent quite a bit of time with Ancestry, mapping the family history and I recently sent in my DNA as well showing both a strong Irish & Scottish history. Hi Chris – Thanks for sharing your father’s story of success in America, especially after serving in WWII. It sounds like aviation is in your blood and nice to see that you too are in the family business. My husband is a pilot and now my eldest son is beginning to think about how to get his pilot’s license. I think a love aviation is also a DNA marker and I’m not the one who passed it on to our sons. DNA testing is a powerful tool and can teach us so much about our heritage – good to hear you are researching your family connections. Happy Monday! The stories of Irish immigrants are not often shared. I appreciate the opportunity here!! Looking forward to reading this new story! Thank you!! Hi Jane – I hope you’re having a good Monday. I agree with you, Irish immigrant tales are seldom shared. Even though most of the laborers who built the railroads were Irish, especially the tracks that were laid down from the east to the west, Irish characters seldom feature in leading roles in movies or books. The odd shady saloon keeper is often Irish, but I think it is high time we heard more about the gritty, determined Irish people who succeeded in America. This book helps fill that gap. Many thanks for checking out this blog post and supporting our giveaway. Thank You for a chance to win this book. I have been doing genealogy for many,many years but have not much on the Irish. Don’t even know what county they came from. Hi Joan – I hope you have had more success when researching the other parts of your family tree. Thanks so much for stopping by. I would love to win this book. Irish history is fascinating and I have read many books on it. Wish we knew about our history. We only know the great grandparents were married in America. Hi Marilyn – Irish history is fascinating, beyond a doubt. I too love to read about Irish history and have loved the topic since I was a schoolgirl in Dublin. Books like this bring the stories of the past to life and make them more meaningful. This would be a great book to win and read. I love reading Irish history. There are no records in the family since my father was orphaned at a young age. Thank you for the chance to win. Hi Marion – Sorry to hear you have no family records to help you research your Irish roots. But rest assured, feeling a spiritual connection with Ireland requires no birth certificates or official records to be deep and meaningful. I’m so glad you like reading Irish history and exploring your Irish heritage. I would love to read this book and will be inquiring at my library. My paternal and maternal grandparents immigrated to Butte, Montana during the famine. They were all from County Cork. My siblings and I visited Ireland in 2013 and visited all four homes of my grandparents. I grew up in Butte, Montana. The Irish history runs deep there. So enjoy your blog, thank you! Hi Mary Ann – Few people are aware of the deep connections between Butte, Montana and Ireland and especially County Cork. My family also hail from Cork and my mother is from West Cork, near where many of the miners who went to Butte originated. As my granny used to say when she met someone from the same locality, ‘we might be 31st cousins.’ Thanks so much for following my recipes and ramblings. Love your shares always enjoy reading your post. Thanks so much for your kind words about my blog posts. I really appreciate it. I’m quite interested in my Irish history. My mother was very close with her memories and shared very little. We have cousins who visit and I am going to Ireland next year. With each loss of family members, memories are lost. Love this blog, it usually makes me smile!! 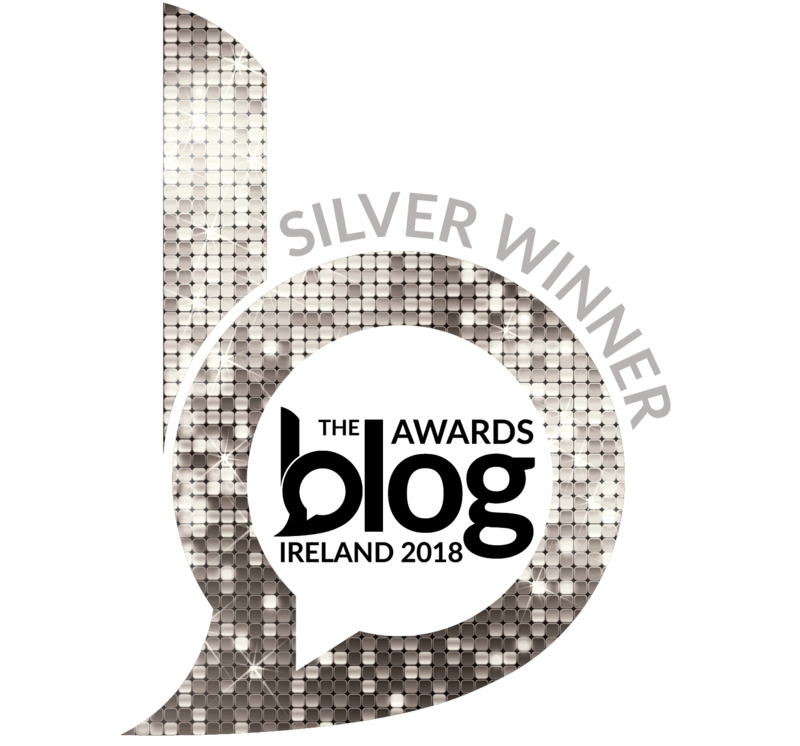 Hi Kathleen – I think many Irish people from generations before us were notoriously silent and slow to share their stories of Ireland – painful memories of leaving and loss were part of the Irish immigrant experience. I’m delighted to learn you are reconnecting with your Irish cousins and sharing memories. Happy planning for your trip to Ireland next year and I hope you will enjoy every minute of your time there. I always love a good book! And my ‘to read’ list gets longer by the day, Jean. This sounds like it’s going to be a great read! 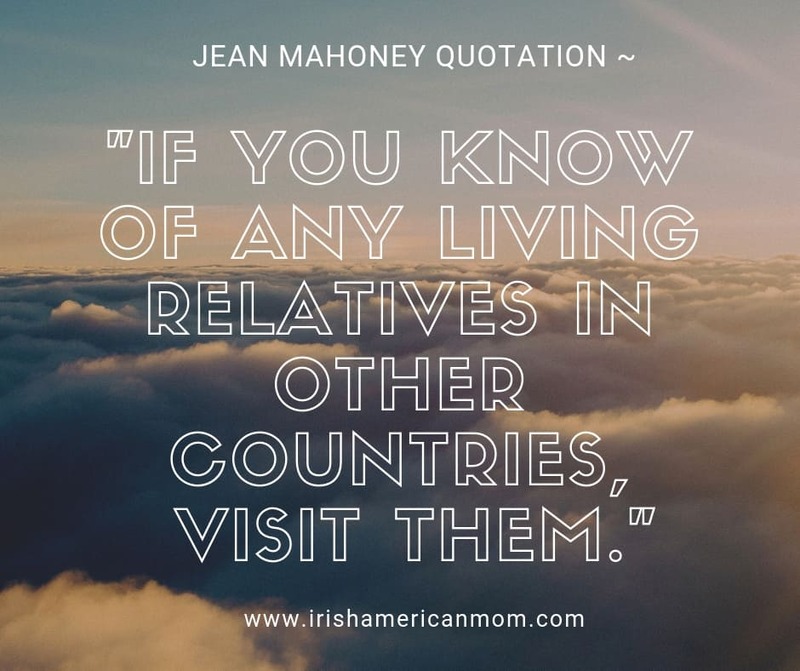 Ms. Mahoney’s ancestors came over to the United States about the same time as my own great-great-grandparents came over. It would be very interesting to read her interpretation of her ancestors’ travels. Hi Jeff – Like you, I think recounting stories of the immigrant journey to America is very important. This experience was harrowing at the time of the Famine, when ships were often overcrowded and ill equipped to cater for the needs of their passengers. I believe many lumber ships were quickly adapted, adding berths to help cope with the demand for passage across the Atlantic. They brought lumber from Canada to England and Ireland and then returned to Canada with people escaping the devastation in Ireland. 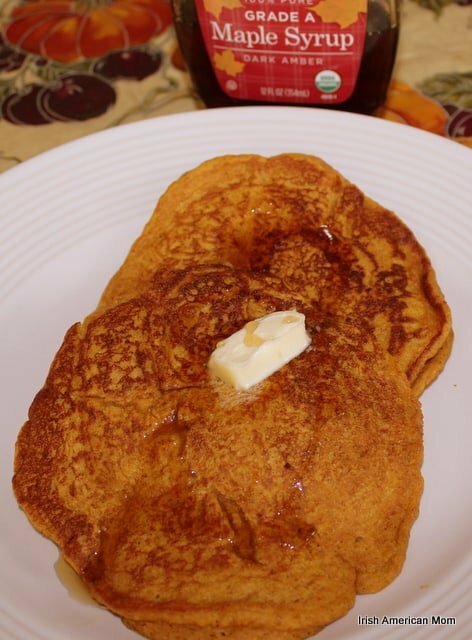 Thanks so much for checking out this blog post and Jean’s book. I am what you would refer to in New York as a BIC , otherwise known as a Bronx Irish Catholic. My grandparents sailed across the pond and settled in a large Irish enclave in the Bronx ,many of whom were police officers and firemen. I would love to draw the parallels of those Irish who settled on the exact other side of the country. I’m sure they shared many similar experiences. I loved Jeans quote about visiting your relatives in foreign countries. She is so right. The years fly by and we need to do it when we have the chance! Hi Susan – I too have relatives who settled in the Bronx. So many Irish settled in New York, it’s no wonder New York truly knows how to celebrate on St. Patrick’s Day. Like you, I am interested in learning about the Irish who settled all over the United States. I believe we have many stories to tell and it’s lovely to see these stories being recorded by authors like Jean. Thanks for checking out this giveaway, Sharon. This book sounds like it could also be about my in-laws. They also came to San Francisco. My husband was raised in Palo Alto also. We have met his mother’s relatives in Oughterard, Co Galway, but the records of his grandfather’s side of the family were lost in the San Francisco earthquake fire of 1906. We believe he was from the Cork area as there are so many Sullivans there. It would be most interesting to read what life was like for the family in this book since they were in the same area as my husband’s family. Hi Mary – I’m thrilled to hear you got to meet your husband’s Galway relatives in Ireland. You have followed Jean’s advice and visited your cousins across the water. Sullivan is definitely a Cork or Kerry name. Most are from Cork but there are quite a few in Kerry too. Unfortunately fire destroyed many Irish records too when the Four Courts building in Dublin was bombed in 1922 during the Irish Civil War. Thanks so much for following my recipes and ramblings. According to AncestryDNA, I am about 3% Irish…I was hoping it would be more but the heart connection I have to the Emerald Isle goes far beyond bloodline. Ever since I can remember I’ve had this longing to eat, breathe & sleep Ireland!! I finally got the chance to travel there in 2017 & returned in 208. I’m hoping to make it a yearly trip. My oldest daughter is Erin..the second was to be Shannon, but hubby disapproved. My 3rd daughter is Molly. I would LOVE to win this book. But even if I don’t, you can be sure I WILL read it!!!! Hi Debbie – Be proud of your 3% Irish bloodline. It does not matter if you have 1% or 100% Irish heritage, your strong sense of connection to the Emerald Isle is what is important. It’s wonderful to hear you returned to Ireland just one year after your first trip. Many thanks for sharing your family story and Irish connections. Really enjoyed this blog post and looking forward to winning this interesting history book. I lived in the Bay Area for 40 years, San Francisco was my playground, wow what a fabulous city! If I don’t win the book I will certainly buy it. Hi Maureen – San Francisco truly is a fantastic and fascinating city. When I visited many years ago I took a photo standing by a “Geary Street” sign. I wondered if the street was named after some far distant cousin of mine. I’m currently working on family geneaology. This book sounds great. Hi Patricia – Thanks so much for checking out this post and for entering our little giveaway. I really appreciate your support. My sister and our husbands are on our way over to Ireland the end of May! While the men are golfing ,she and I will be looking under every Irish nook and cranny to get a feel for the Irish people and their land! ( Our maiden name is Ryan). Before we go , Brave Hearts is a must read for us! Hi Suzanne – Happy travels in Ireland. Have a wonderful time exploring the highways and byways of Ireland while your husbands are enjoying the wonderful golf courses. County Tipperary is home to many Ryans so I hope you discover this lush, green part of Ireland too. Sounds like a heartwarming story. I would love to read it!! Hi Kerry – Thanks for supporting our little giveaway. Hi Pam -Lovely to hear your niece is discovering all of your family’s Irish roots. Hi Jane – Worry not, you haven’t missed the giveaway. I haven’t done the draw yet, so your name will be in the hat. Thanks so much for checking out this giveaway.